The books are available online. We have linked to Amazon below but they are available from all good online sellers. The Ebooks require a Kindle reader. The first step in selling a property is for you, the Seller, to select a Real Estate Agent (the agent) to be in charge of the process. The agent is usually responsible for 99% of property transactions. Many people are cautious about using a real estate agent because of the negative reputation that agents in general have acquired over the years. However, you will quickly find that selling a property yourself is a very difficult task, and that by selecting a good agent, and working with them in a knowledgeable manner, you can reduce your stress and significantly increase the benefit from the sales process. Buying or selling a property is usually the biggest financial transaction an individual will ever make. As a buyer, you need to make sure you do plenty of research, make a plan and patiently follow the necessary steps to successfully purchase a property. The process starts early with financial considerations as almost everyone needs to borrow money in order to buy a home. For this, the first task for any potential buyer is to save a deposit. From there you need to approach different lending institutions in order learn what you can afford. 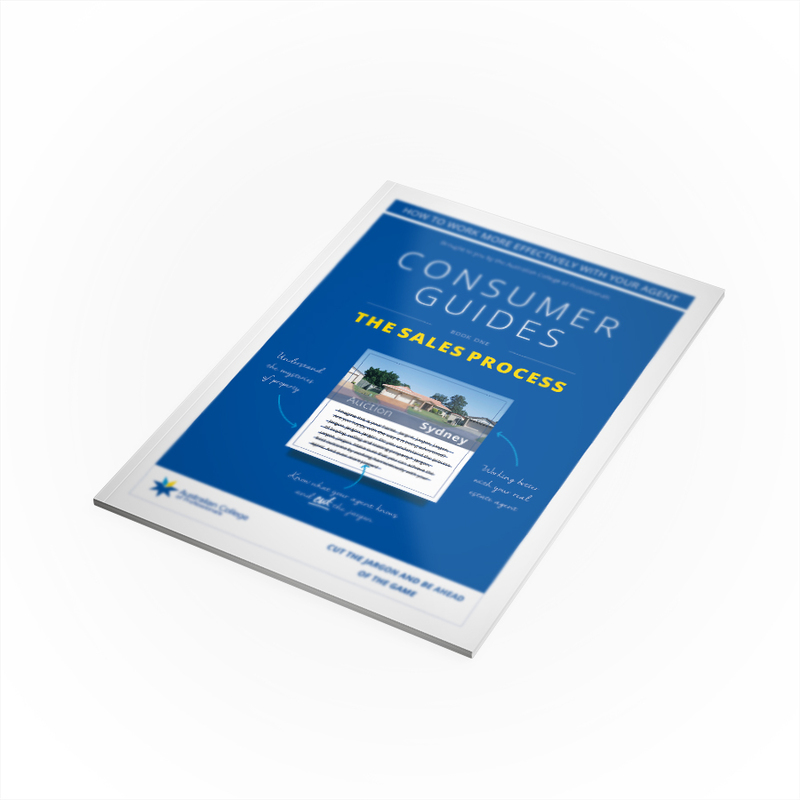 This buying process information guide will assist potential buyers through the process and enable people to work more effectively with real estate agents. We refer to the owner of the property as ‘the landlord’. However, in many cases, landlords use a real estate agent/property manager to manage the property for them. Agents act on behalf of landlords and are well-versed in residential tenancy management. Any references to the landlord in this guide can be referring to either the property manager or the actual property owner. We always advocate to landlords that using a well-trained and experienced property manager is a wise decision, as they deal with properties and related issues daily. As a tenant, dealing with an agent rather than a private landlord, is usually a streamlined approach to living in a rental property. 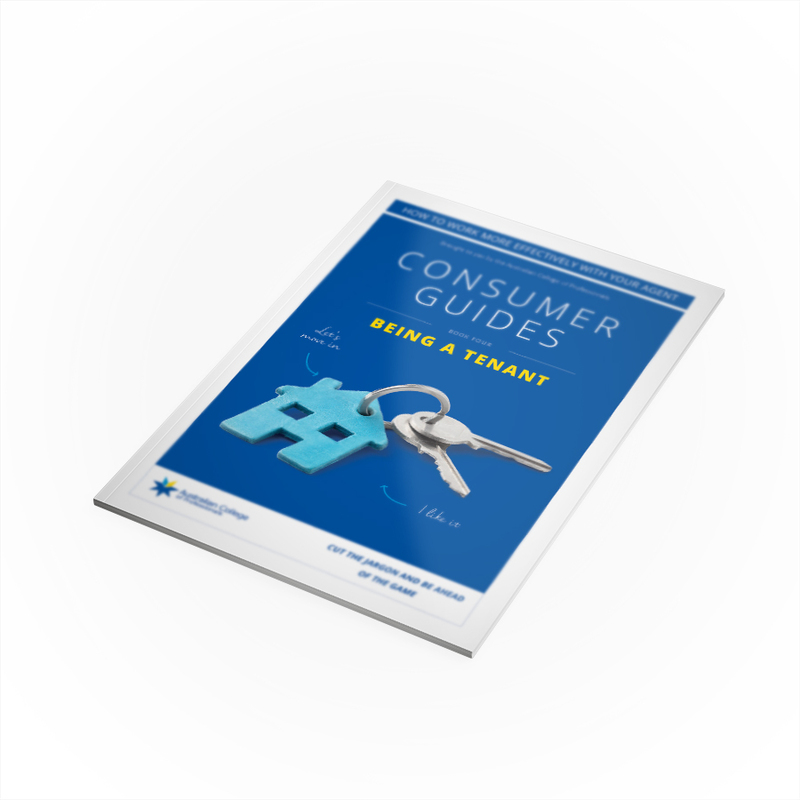 This guide will assist tenants to work effectively with property agents. Buying a property ‘Off-the-Plan’ means you are buying a strata unit, townhouse or a retirement unit that has not yet been physically built. You are entering into a contract without having the opportunity to view and assess the finished property or project. When making your decision, view the building plans and artistic designs. Buying off-the-plan means you are entering into a legally binding contract to buy a property based on a ‘ promise’. The developer is promising to complete the building of the property and complete it in accordance with the agreed terms of the contract. 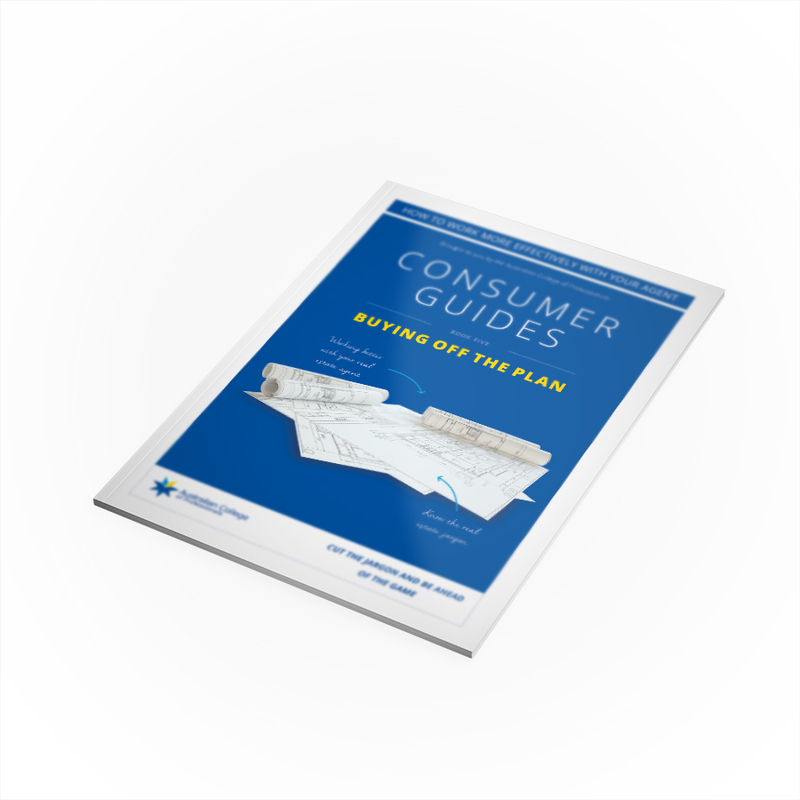 Many people find buying off-the-plan very daunting. This Consumer Guide aims to provide information and assistance to people considering this style of property purchase. This book focuses on NSW Strata legislation and requirements, as it is the main State that has regulatory requirements for Strata Managers. The legislation in other states and territories reflects the NSW legislation. If you live, own or rent in a strata complex, it’s a good idea to make yourself familiar with these laws and know where to find them. We guarantee that you will need to refer to this guide to resolve an issue or to seek guidelines on how to proceed with a complaint process. This guide examines the differences between auction and private treaty (for sale) and how you, as a buyer, can best work with the agent and the auctioneer. A Buyer’s Agent, also known as a Buyer’s Advocate, is the opposite of a real estate selling agent in that they act for you/the buyer as opposed to acting for the seller. A buyer’s agent may suit you if you’re time poor or have less confidence in tackling the market. Services buyer’s agents offer include property searching, appraising, dealing with sales agents, negotiating a sale price, bidding at auction, arranging property inspection reports and providing general property advice.